Here. Have some otters playing air hockey. You’re welcome. 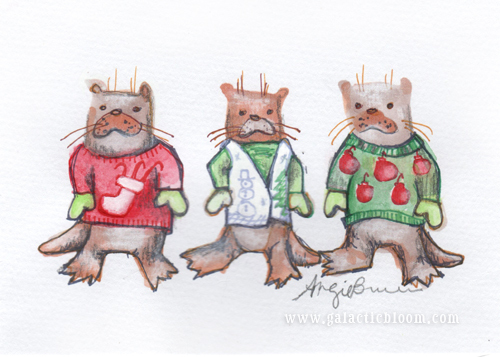 It was an otterly ridiculous sweater party. This sweet little watercolor is now available in my Etsy shop. 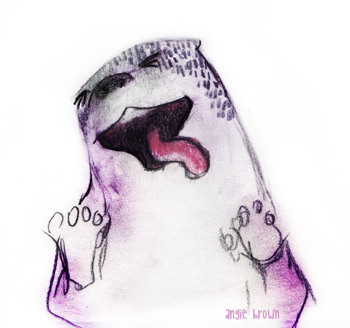 It was inspired by the real life events of last weekend’s Ugly Christmas Sweater Party with my friends – who are not, in fact, otters, except in spirit.